Isis, aka EF Barbour, is a 9-year-old brindle female born August 3, 2005. Her sire is Kiowa Sweet Trey and her dam is EF Kay Fortress. Isis has 22 races on record with Trackinfo.com in 2007. She was found as a stray on Christmas Day in 2009, wandering near the I-35 highway. She was adopted out from an all-breed rescue group to a home, where she's been for five years. 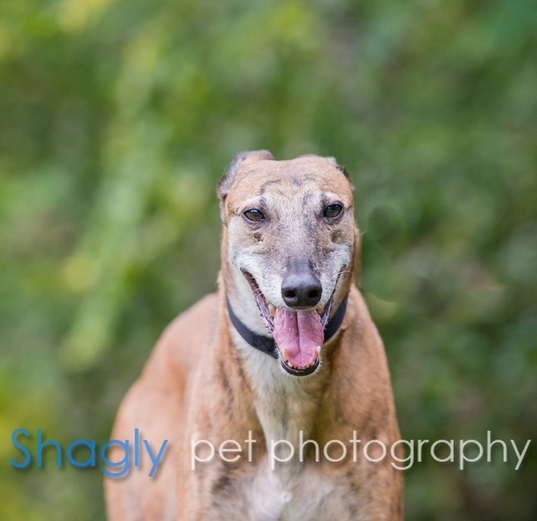 Due to a sad change in family circumstances, she has joined the GALT family to resume her forever home search. 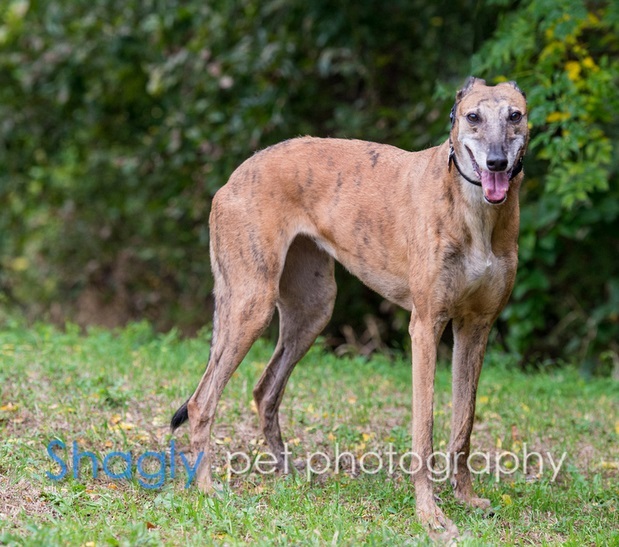 Isis has a great temperament and has lived with other dogs of all sizes and 8 cats! Isis has an autoimmune condition which causes periodic toenail loss.